Are you interested in saving money on a future Kia repair or service appointment at Kendall Kia Nampa? We offer a variety of Kia service specials for those wanting to stay within a certain budget, including oil change coupons, wheel alignment, and more. Be sure to schedule your Kia service appointment online to ensure the best date and time that works for you. Take a minute to visit our Kia Service Center to learn about the service options we offer and browse our auto service deals to see how you can save on your next service. Contact us online for more information about auto service coupons or come by our Nampa Kia dealership, serving the Boise and Caldwell areas, to get started today! Bring your Kia vehicle to our Kendall Kia Nampa service center. 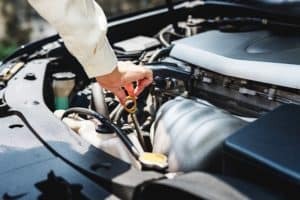 Our technicians are specifically trained to service your Kia vehicle, offering quick and professional maintenance with close reference to your vehicles unique manufacturer guidelines. Fill out our online form to schedule service today. If you have any questions, contact us and we will connect you to one of our service specialists.